I have always been rather envious of writers who say they sit down at their desks each day at, say, 9 a.m., and write for three or four hours. In other words, writers who have a pattern and a discipline to their output. That is simply not how I am wired. I can’t do anything that way – exercise regimens, meals, study sessions – nope, I fail at every attempt to adhere to a strict schedule. Instead of berating myself over this, I have learned to look at what does work for me. What are my ideal conditions for writing productivity? I thrive under deadlines. Having spent over 15 years of my life working as a journalist, I am very familiar with the feeling of having to get a story out – now – just under the wire. It is its own particular type of adrenalin rush. Journalistic copy is often fairly straightforward – a news story, maybe a longer more elaborate feature, a column. But always, that common thread of having a short time frame to get the work done. I still have a couple of similar gigs now. I write a monthly literary column which appears in four local newspapers, and I also do a Q&A interview on stage craft for a local theater company, as part of the program handed out to patrons at the show. These writing assignments are easy for me to manage, because I simply calendar them. I know when I have to be brainstorming for ideas, when interviews must be scheduled, and when the final copy is due. No problem. So what about my more creative work? How do I make space for it in my otherwise very busy life? The best way I have found is to treat my prose and poetry the same way. 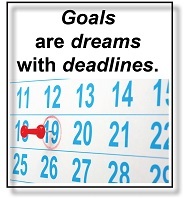 Find deadlines. One option is to look for submission opportunities. I choose a reasonable number, and put them on my calendar or my white board. A call for pieces for an anthology, due on June 1. A contest for creative nonfiction, due on June 30. A local group asking for contributions to a poetry chapbook, due in August. I may decide along the way not to go with all of these, but at least they get me started at my computer. One of the reasons I enjoy working with deadlines, and having specific projects in mind, is that I am a percolator. Especially with poetry, much of my writing is done when I am not sitting in front of the blank page. It happens when I am walking, or reading someone else’s verse, or when I am sitting at a coffee shop waiting for a friend to arrive. My poems brew. By the time I sit down to write, entire lines are already formed. But I can get lazy, and not stick with an image or a poem. Knowing that I have a deadline coming up, I will encourage this process to pick up the pace a bit. Remember, I will whisper as I wake up in the morning. We have a poem we’re working on. Keep your ears open. This can be used just as effectively on much bigger projects. When Ruth Thompson of Saddle Road Press first approached me about writing a book of poetry, it felt completely overwhelming. How could I get a handle on something that huge? It turned out to be very basic. We set a deadline – final manuscript due by Jan. 1, 2014. As soon as I had that goal in mind, all the rest fell into place. I found I was able to do the work, pace myself, make the time, get it done. All I needed was that firm deadline. So now, when asked how many hours a day I sit at my desk, I don’t feel ashamed to say that sometimes, I don’t sit there at all. Because it doesn’t matter. The dates are on my calendar; the work is in process; and I am a writer, whether or not I am at the keyboard. Michelle Wing is a poet (Body on the Wall, May 2014) and writer of creative nonfiction who blogs about writing. For more information, see her website. Thank you Michelle for sharing your writing experiences. I thought I was the only one who couldn’t fathom the discipline of getting up early in the morning for hours of pounding out pages. I do better with a project, goal or assignment with a deadline. I never know where or when inspiration will strike, but it has never happened staring at a blank word doc. Congrats on your new poetry collection.